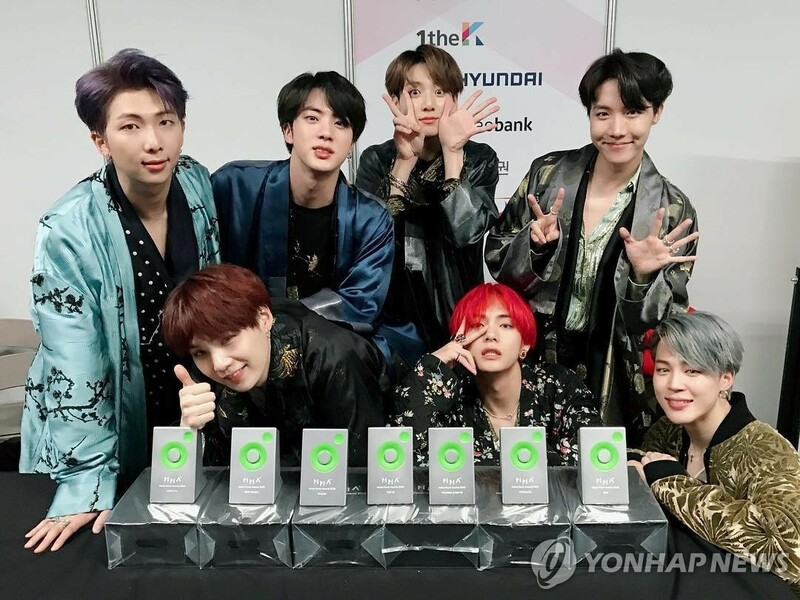 SEOUL, Dec. 5 (Yonhap) — South Korean boy group BTS came eighth in the Top Artists category of the U.S. Billboard’s 2018 year-end charts. According to the charts released on Tuesday (U.S. local time), BTS was with Drake, Post Malone, Ed Sheeran, Taylor Swift, Cardi B, XXXTentacion and Imagine Dragons on the Top Artists list. BTS broke its own record as the highest-charting K-pop act by climbing two steps from last year’s 10th. The band also put three of its albums on the Billboard 200 Albums year-end list — “Love Yourself: Answer” was 85th, “Love Yourself: Tear” was 101st and “Love Youself: Her” came in at 150th. The year 2018 was one the seven-member group’s peak years as it topped the Billboard 200 main albums chart twice and demonstrated its global presence through its latest world tour.